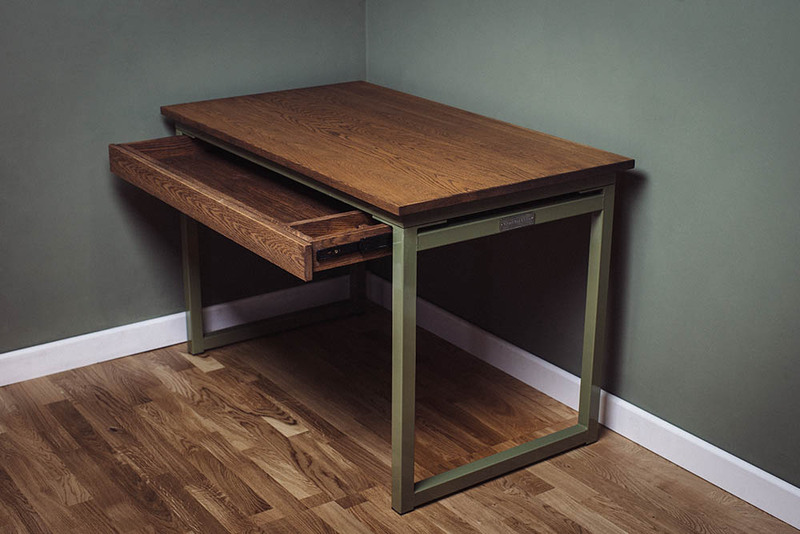 View our selection of Vintage Industrial Office Desks. 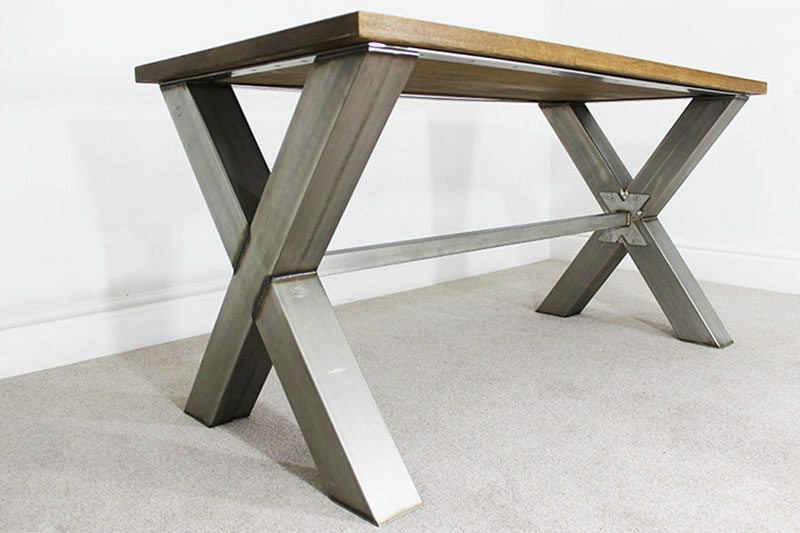 All our industrial writing desks you can see on this page have customisable options. We also offer a bespoke made to measure service. 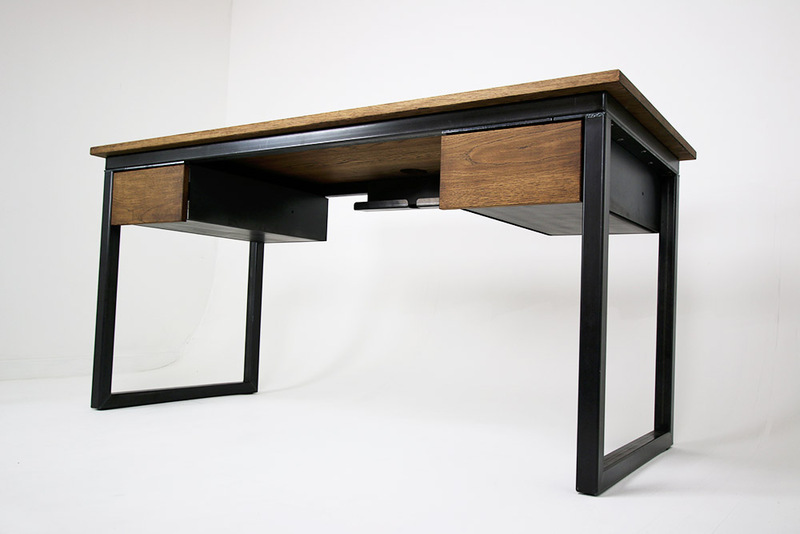 Looking for the perfect vintage industrial desks for your home or work place can be difficult. 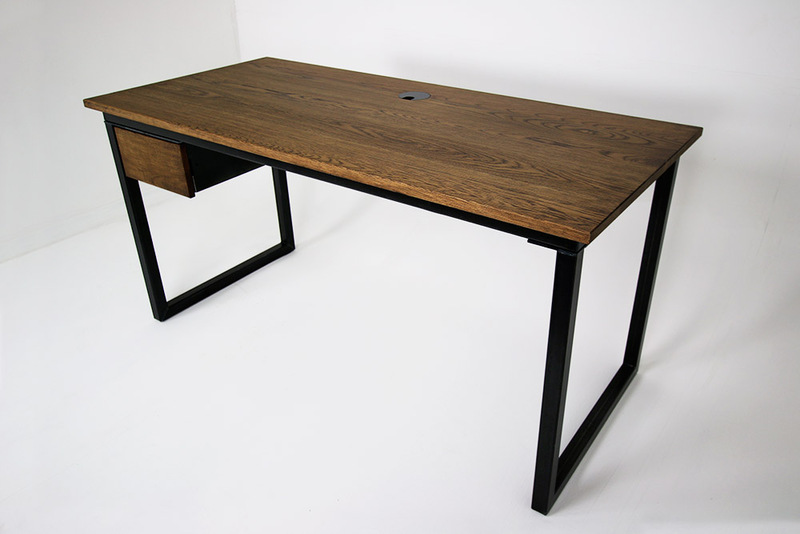 Here at Russell Oak and Steel we have combined both luxury materials to produce unique custom industrial computer desks. 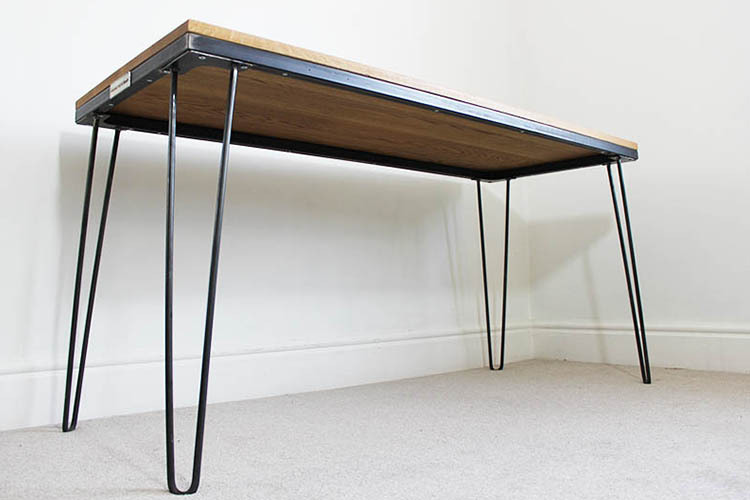 Both the metal and wood combined produces that vintage industrial style desks we all desire! 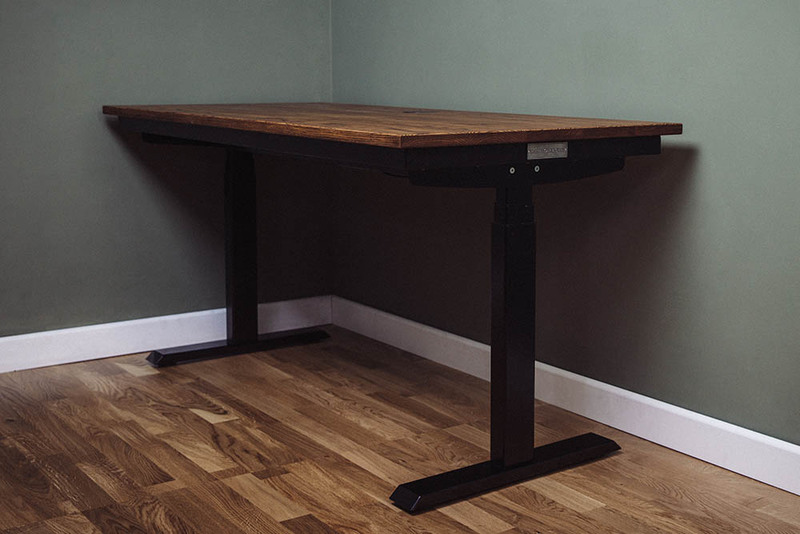 Bespoke Industrial Style Office Desks and tables are available which is an ideal service when you experience tight awkward office spaces. 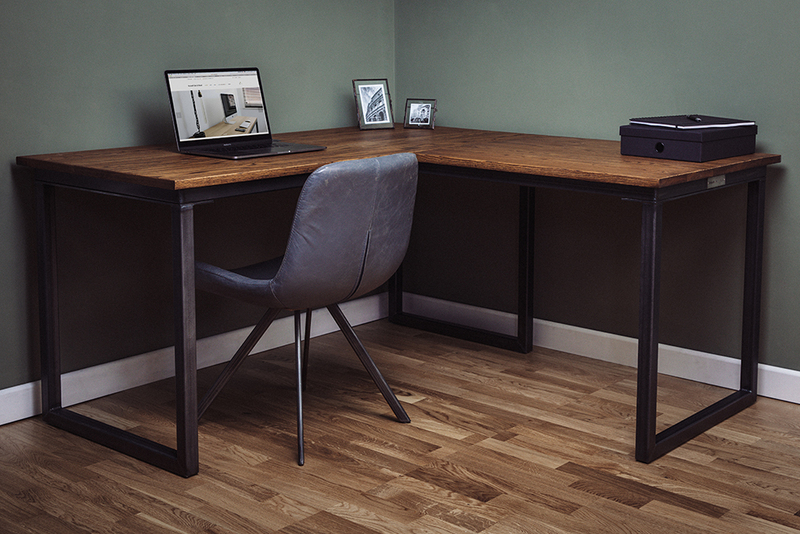 Customise your industrial looking desks by choosing oak colour treatments. We will finish all colour treatments with a matt hardwax oil finish. The main steel option available is charcoal however on bespoke orders we do offer mild, brushed or stainless steel. 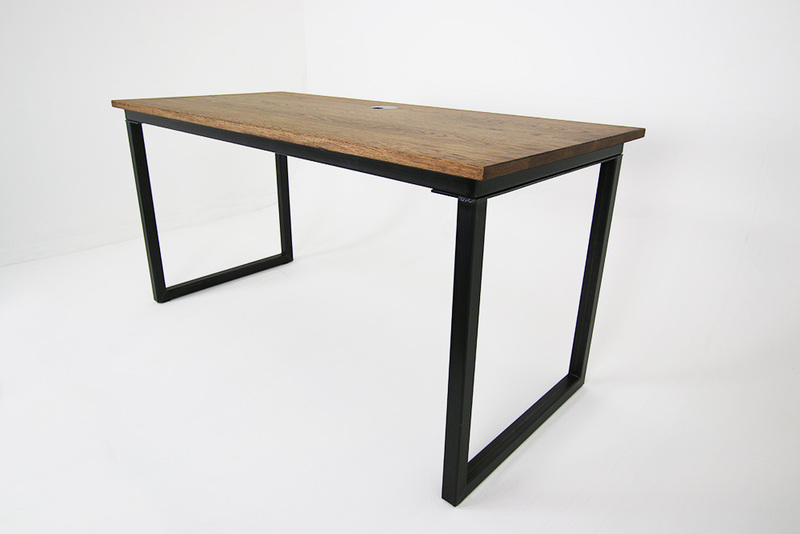 All frames including the industrial l shaped desks are finished with a clear matt lacquer coating to prevent rusting. We also offer a powder coating service available for all our metal industrial desks. 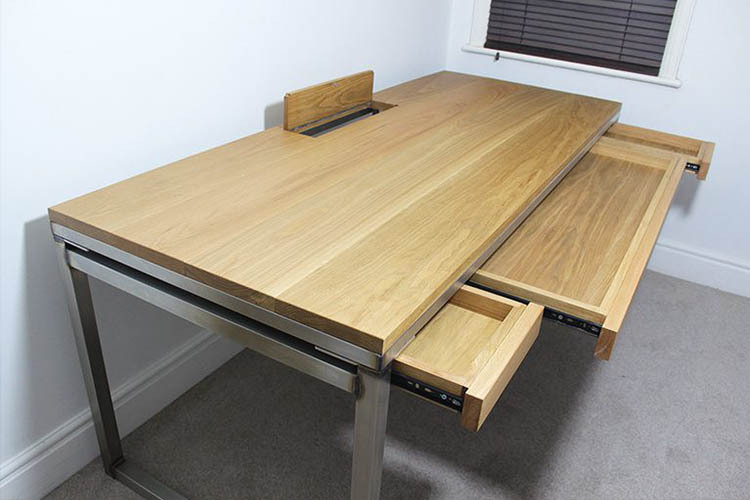 Our delivery service is available for industrial desks UK nationwide including London. To keep costs down we offer the option for a commercial courier to deliver your furniture. For a quote on International deliveries please contact us to speak to a member of our team. 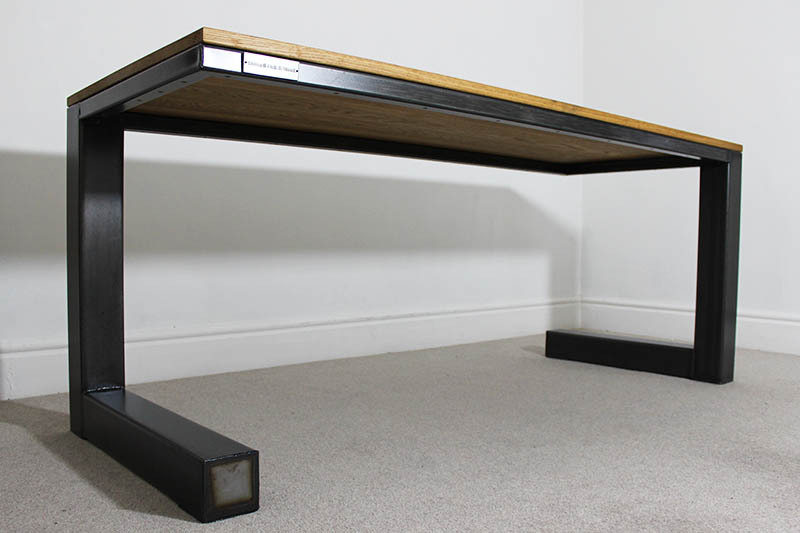 As an added option we offer an assembly service for all heavy and detachable vintage office desks. 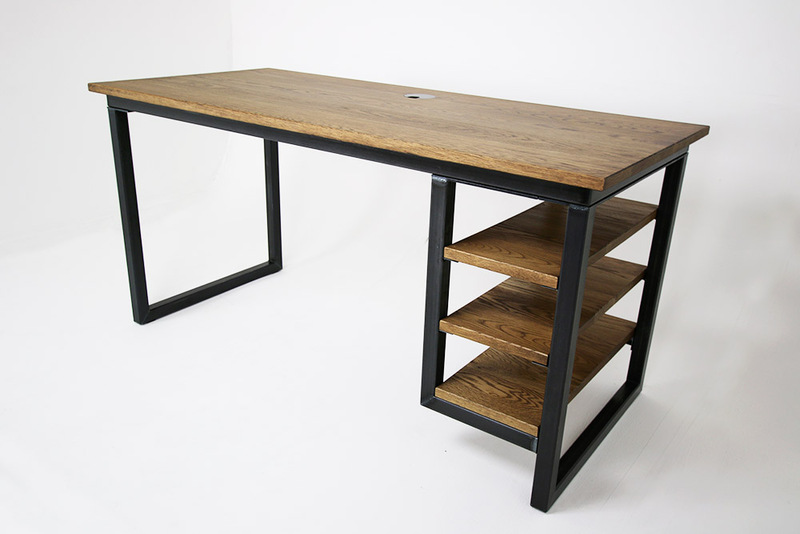 Before purchasing an industrial reception desk we offer the chance to purchase a range of small oak and steel samples or powder coated samples. 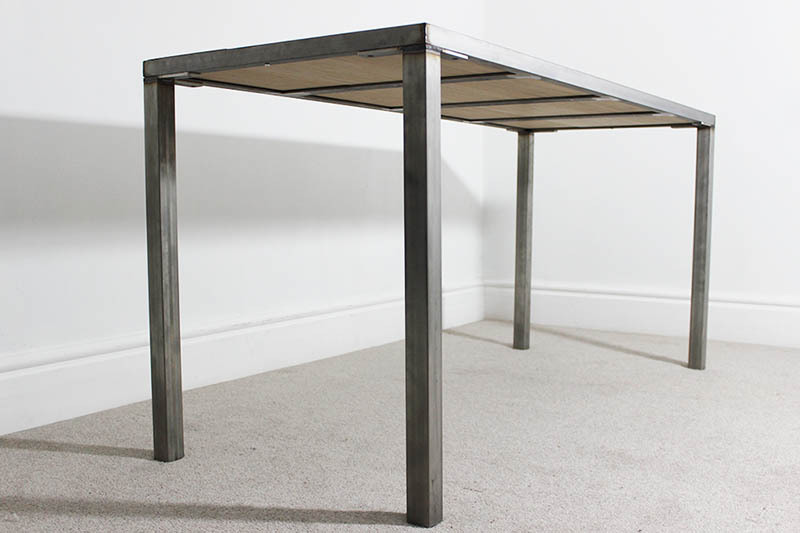 The cost for samples will be refunded after purchasing a industrial metal desk or if the samples are returned. You can purchase these samples online.